Our 2014 Spring Collection is here! With the first weekend of spring comes our brand-new Spring Collection! 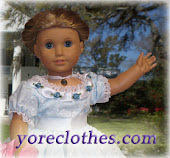 Every weekend we will be releasing a design that has never before been seen at 'Doll Clothes of Yore'! 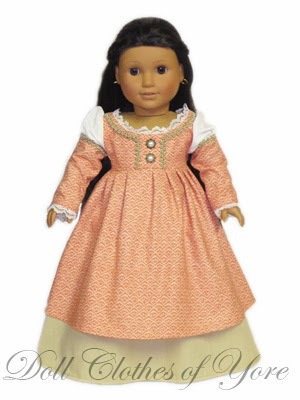 Here's our first design - the 'Filipa Perestrelo' Dress! Check out this gorgeous new design, and be sure to stay tuned every weekend until Easter for new designs to come!